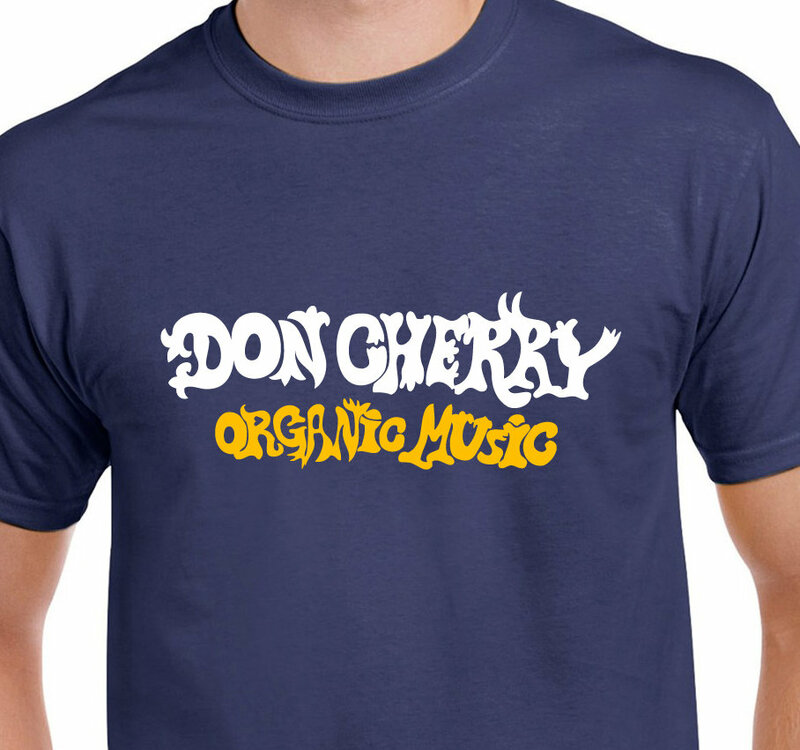 Metro Blue or Black quality cotton t-shirt with white and gold yellow flock vinyl unique design: Don Cherry Organic Music Society. An album, a movement. Out of Stockholm with his wife Moki producing deep, spiritual art, jazz, world music.